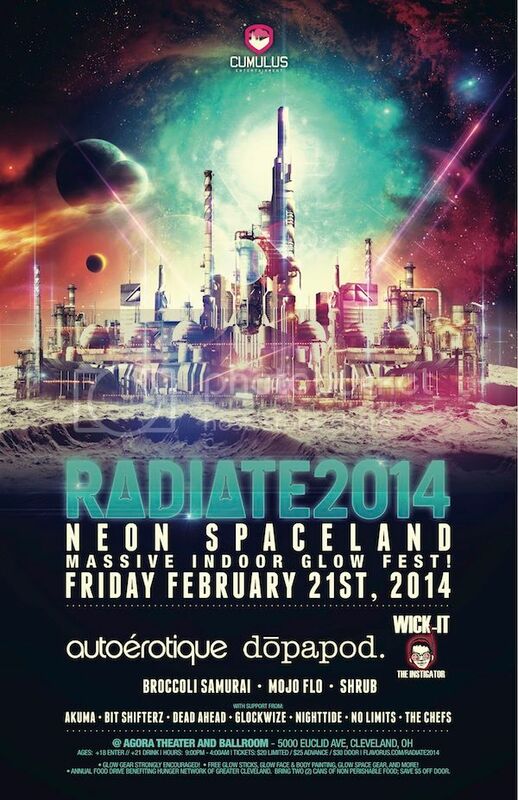 R A D I A T E 2 0 1 4 "Neon Spaceland"
Cumulus Entertainment's annual GLOW FEST! * Glow gear strongly encouraged! * FREE glow sticks, glow face & body painting, space gear giveaways, and more!